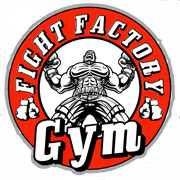 FIGHT FACTORY GYM invites everybody to learn and continue training. Our gym is located in the heart of Brooklyn and has a unique layout; it is divided in six zones. Each zone is dedicated to its unique disciplines and trainings run simultaneously by different instructors, who only specialize in one particular discipline. Three full size boxing rings are assigned to boxing and Muay Thai training, and are surrounded by a large variety of punching bags made by Everlast, Cleto Reyes and Grant.